Towards the very western end of Cuba is the Guanahacabibes Peninsula, home to the Guanahacabibes National Park and the beach center of Maria la Gorda. Despite it’s far away and relatively untouched location, visitors from all around the world trickle in to visit Maria la Gorda & travel through the Guanahacabibes Peninsula for its natural wonders and various outdoors opportunities. 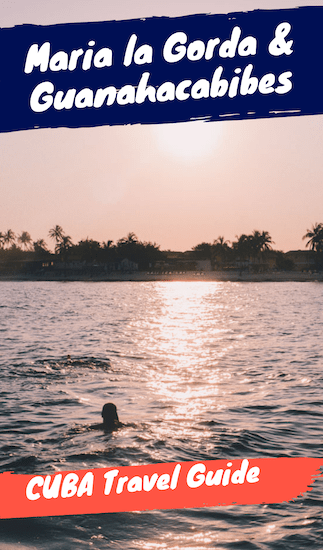 If you’re considering venturing out to this part of Cuba, here’s a travel guide for the region, how you can get there, what to do, and where to stay. Maria la Gorda is beach, hotel and a tiny diving center located in Guanahacabibes National Park (the entire photo above). Maria la Gorda literally translates to “Maria the fatso” but nobody knows exactly why; although there’s a rumor about pirates kidnapping a woman and leaving her alone in this region. What is definitely known, however, is that the area was once was home to the indigenous peoples called the Guanahatabeyes. They lived in Cuba up until the European invasion of the Americas which killed almost all of the indigenous people. Before the Spanish arrived in Cuba, there were an estimated 100,000 Guanajatabeyes who are thought to have possibly been the first inhabitants of Cuba. Thus today, in this region you can also find over 100 archaeological sites of the Guanahatabeyes. In addition to its unique history, visitors today primarily come to explore the region’s over 1,000+ sq km of coastline which is considered a UNESCO biosphere reserve (one of six in cuba). The region offers different landscapes to explore and is home to hundreds of bird and wildlife species including crabs, sea turtles, and reptiles. 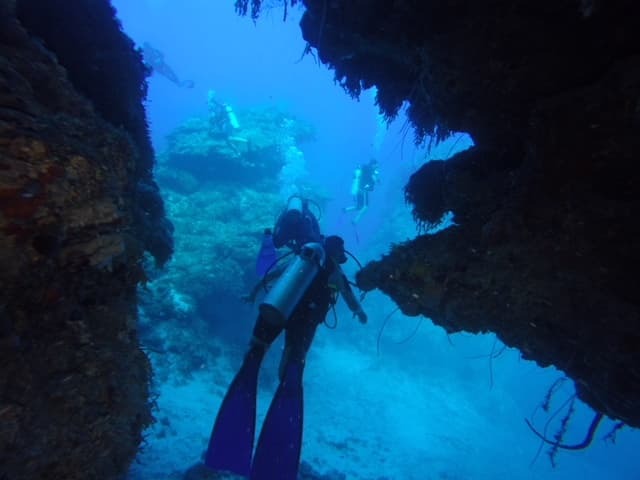 The top reason why travelers from around the world make it to Cuba’s remote and most western tip is to go scuba diving. International visitors will spend days in Maria la Gorda to dive through its pristine waters including underwater cave systems. There is an array of dives all around Maria la Gorda starting at $35 for one dive and up to $400 for 20 dives! You can book these dives through the government hotel on site: Maria la Gorda Hotel (owned by the Cuban government so don’t expect 5-star dining options here). 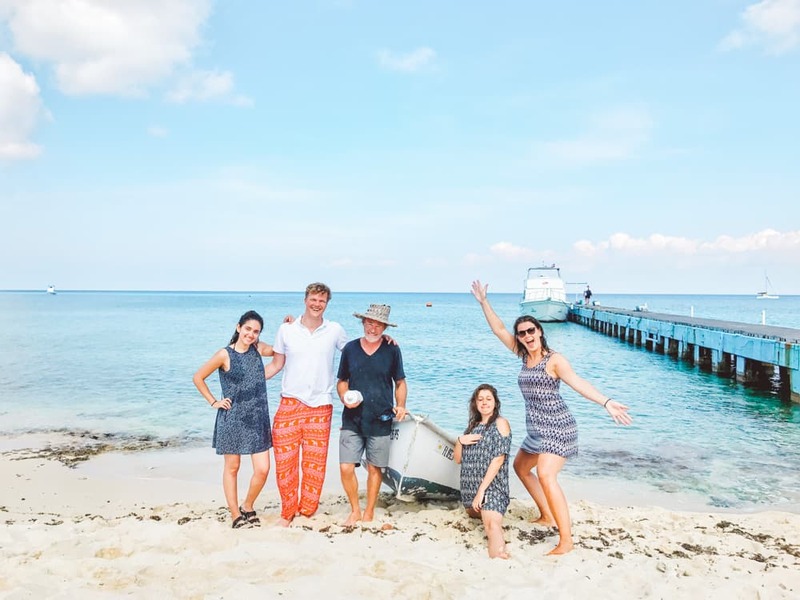 First-time divers/beginners can take an introductory course and go diving in the sea (for $45) with a Cuban instructor. There are different beaches all around this western coastline ranging from the rocky beaches by Maria la Gorda to sandier and even more untouched beaches like Playa Las Tumbas beach in Cabo San Antonio. You can arrange a day tour with local guides by putting together a package to see the highlights of different parts of the peninsula/coastline. To do this you must have your own car or hire a driver. Then you must also hire a park-permitted guide. You can stop by to see and do a little bit of everything on the drive around this beautiful coastline all the way to Las Tumbas or Punta Cajon. One of the things you can do on the above tour is hiking and exploring caves (which hold a lot of indigenous history). There are different trails you can take that pass through caves such as Cueva las Perlas, other cenotes, lakes and lagoons. Lovers of bird/wildlife watching can have a lot of fun touring this region of Cuba and can be connected to #2 (Cabo San Antonio driving tour). 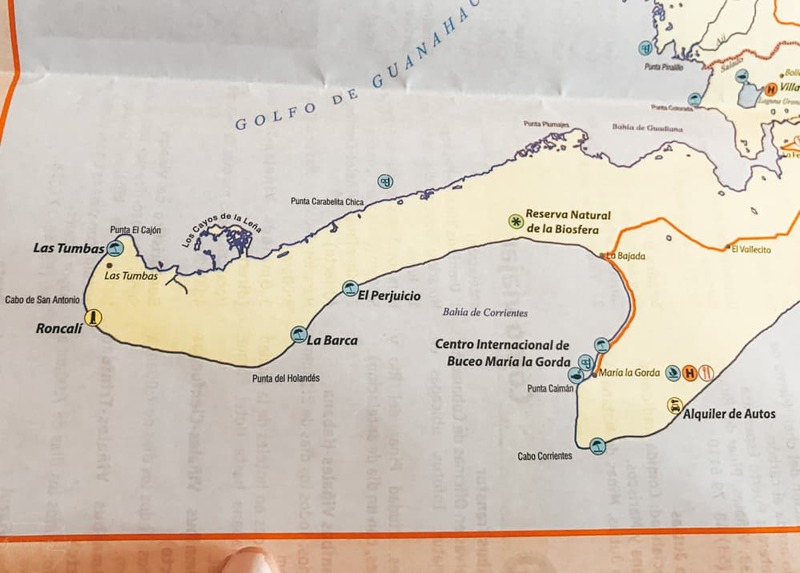 One way to do this is to go through the guides who you can be connected to at the park entrance or via the casa particular owners at La Bajada town (the town before Maria la Gorda). This blogger goes into greater detail about his bird watching experience in this region, calling it his favorite part of Cuba! Maria la Gorda Hotel offers fishing excursions starting at $250 for 4 hours and $350 for 8 hours. I saw this on the hotel’s list of excursions to do, but I’d call ahead and confirm that there is availability for this on your travel dates before showing up. 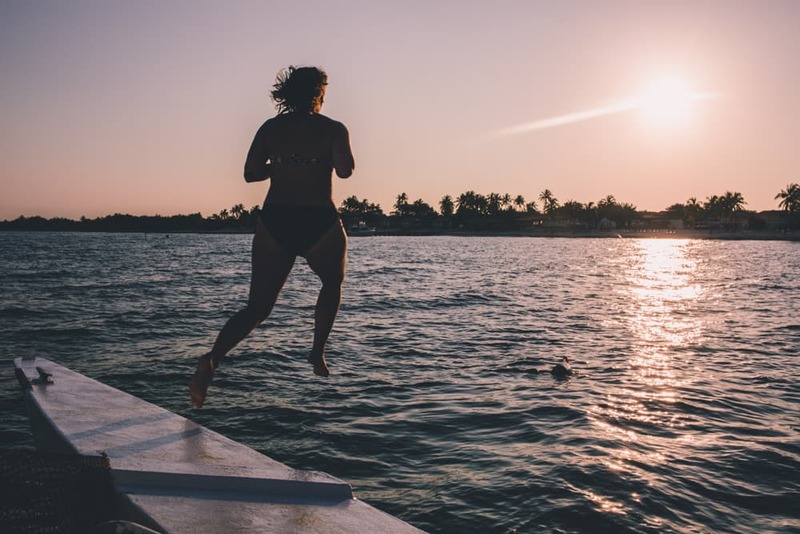 With proper permission, travelers with their own sail boats are permitted to anchor their boat in Maria la Gorda as well sail around the coast. I met a sailor here who was sailing all around Cuba and decided to stop by this western coastline to explore all the bits and pieces that were out of reach by foot. His stories were inspiring and we had a chance to take a tour with him around the coast, it was one of my most memorable travel experiences. So if you have access to a sailboat, consider making your way around this western part of Cuba. But please be mindful and careful of where you anchor your boat to avoid damage to the special coral reef in this region. 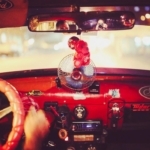 With a hired driver, you can either do the two-hour drive from Pinar del Rio or a six-hour drive from Havana. Remember you must pay for his hotel and food as well during those days. It should cost at the very least $250/day with a two-day minimum ($500). Or, if you’re staying for longer than 2 days, you could take a separate taxi each way. It should cost about $250 each way as well ($500 total). Though you can probably save some money if you try to take the cab from Pinar del Rio. You can rent a car for approximately $50 to $100 a day + gasoline ($100-$150 per day). This could give you tons of versatility on what to do and where to go. The only drawback to this is that renting a car in Cuba can be tricky due to limited availability and their car accident laws. Personally, I found it easy to stroll up to various car rental companies and ask. Most said no, and a few said “sure, we have a car for you”. 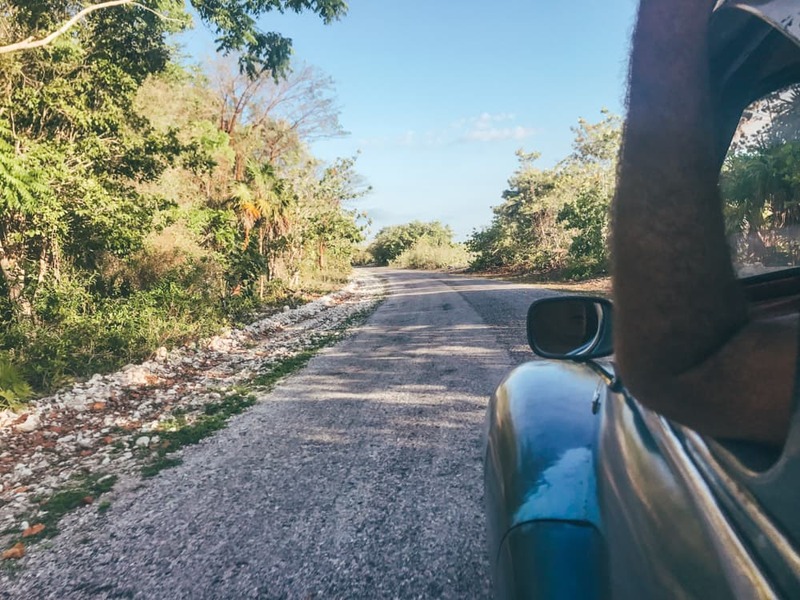 Not-so-fun fact: Did you know that if you get into a car accident in Cuba, you may not be able to leave the country until the matter is resolved? Read up on this (negative story ) and this (positive story) to better familiarize yourself with the pros and cons of renting a car in Cuba. This is the budget combo option and the most “local” way of getting around in Cuba. No public transport goes directly from Havana to Maria la Gorda. 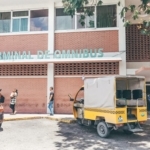 Even though you may read about some magical bus that goes to Maria la Gorda in a guidebook or random website, in all my years going to Cuba, I’ve never found this unicorn bus company that goes there. And I really searched! Pinar del Rio to Guane/Isabel Rubio ($3) where I took a collective taxi to Sandina ($1) to La Fe/Manuel Lazo ($1) to hitchhiking/asking a driver for a lift to La Bajada ($5) and then finally a private taxi to Maria la Gorda ($8). Continue doing that (taking the next ride), telling everyone you’re going to the La Fe or Manuel Lazo, the last residential town. From here either hitchhike (very safe to do in Cuba) or find a taxi (almost any car in Cuba can be a taxi if you explain your price ) to La Bajada or straight to Maria la Gorda if you’re staying there. About 7 hours and 7 different forms of transportation later, I finally arrived at Maria la Gorda and the total cost was $22 USD. The most expensive part was the 20-minute taxi between La Bajada and Maria la Gorda who charge between $10 and $20 because there is literally no other way to get there and often no other cars in sight. The way back to Havana is always a million times easier because all roads lead to Havana. So on the way back, I had different options with different taxi drivers on their way back, other travelers driving back, hotel workers going back to their town towards Havana. Just remember to be open and talk to people. Don’t be embarrassed but always use your intuition. Cuba is incredibly safe and hitchhiking (“pidiendo botella”) is the norm, but of course, keep both eyes open as with everything in life when you’re in an unfamiliar environment. Accomodation options are very slim in this part of Cuba. The best thing to do is to stay at La Bajada, the town right before Maria la Gorda. Here you can find a place to sleep from $20 to $30 per night at a casa particular and have delicious homemade food made for you from them. You can also hire guides and drivers through these casa particular owners. 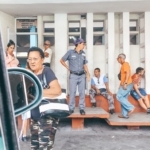 If you choose to head away from this town and into Cabo San Antonio or Maria la Gorda diving center, you will be in government-owned properties and the quality of food and service there can be poor. Unless you’re spending days diving, I recommend staying in the casa particulares. Viva Cuba Travel can organize a 2 day/1 night tour to Maria la Gorda with local Cuban tour guides. Scuba diving, food, accomodation, transportation and tours included. Email: [email protected] for more information. 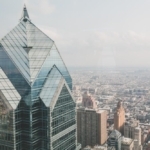 IT LOOKS SOOO CHILLLLLLLLL. I gotta go back. It was VERY chill!! When are you back in Cuba?